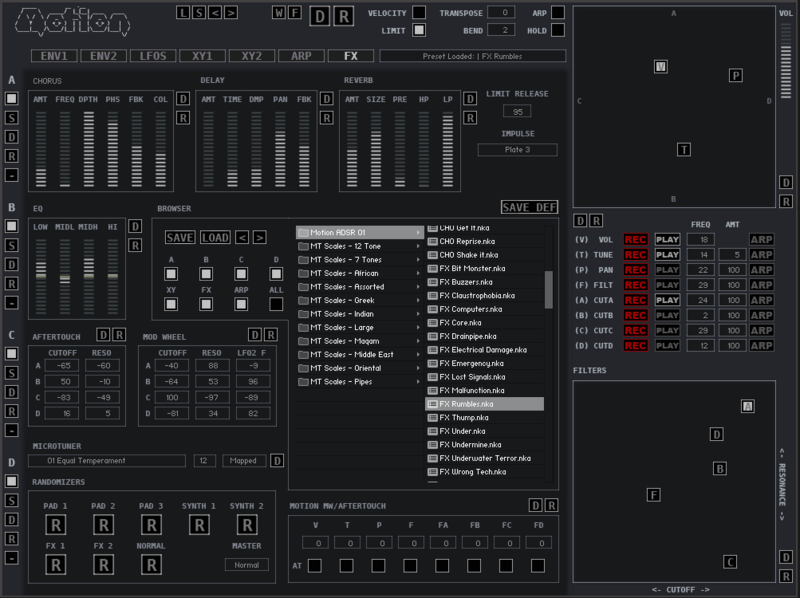 Motion is an advanced Vector Synthesizer designed to create Evolving landscapes and Atmospheres with little effort due to a series of 8 tuned Global randomizers which generate unique and playable sounds most of the time. It is most useful for signature Ambience in a track and most definitely has a distinctive sound of it’s own. It uses short and single cycle waveforms to create sound and in this sense is a true synthesizer, like any other Subtractive synth sounds are generated by the User interface rather than relying on sampled presets. There are 504 Waveforms/Sounds over 4 Banks which use just 55mb of RAM. Some are drum/percussive one-shots which are very interesting in the Arpeggiator when Wave sequencing. 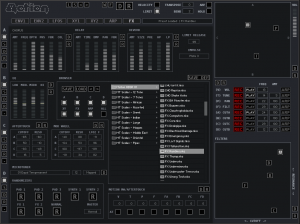 Motion was initially inspired by a Yamaha SY35, it is possible to record XY Vector movements as part of each preset. It goes much further than an SY35 however adding an additional 7 recordable XY Sequencers. There are 4 separate identical synthesizers with an XY which mixes between their volumes. Each Synthesizer has 2 ADSR Envelopes and 2 LFOs with plenty of simultaneous destinations. There is a dedicated XY Controller for the Cutoff and Resonance of each Synth as well as a Master controller which offsets all equally. 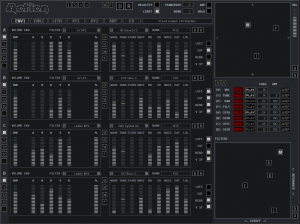 Like the Volume these have dedicated sequencers which can be recorded per preset. There is also a large database of prerecorded sequences which can be selected by the Randomizers. Please Note this will only work in the full version of Kontakt 5.6, it will not work in the player or a version less than 5.6 due to extensively using the XY Controllers.